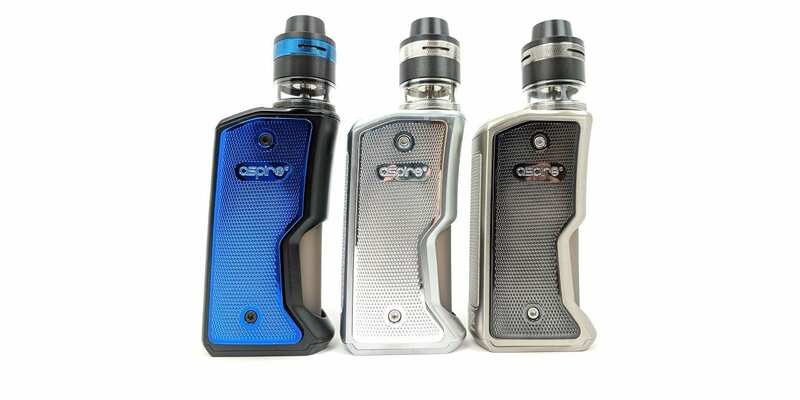 Aspire Feedlink Revvo Squonk Kit $27.00! (USA) - Daily Vaping Deals & The Best Vape Product Reviews at Vaping Cheap! For a limited time only, the new Aspire Feedlink Revvo Squonk Kit is now in stock and on sale right here for only $27.00 using coupon code “Hardware10“! Various colors available for purchase. Free shipping applies to US orders over $50. The new Aspire Feedlink Revvo Squonk Kit includes the new Aspire Feedlink Squonk Mod and the Aspire Revvo Boost Tank. The Feedlink Squonk Mod requires a single high drain 18650 battery for operation. In addition, this squonk mod is unregulated, but offers multiple safety protections. Still, it’s important to understand battery safety and ohms law since your output wattage will be determined by the resistance of your coil. The Feedlink Mod has a battery display indicator light, with two different colors, blue and red. This device comes with a 7ml silicone squonk bottle, which makes it easy to press and squonk with! Lastly, this mod has an ergonomic design, making it comfortable to hold and easy to travel with! The new Aspire Revvo Boost Tank has an overall diameter of 24mm, so it will sit perfectly on the new Feedlink Mod! Not to mention, this tank has a maximum e-juice capacity of 2ml and can be filled by the top or squonking! This atomizer uses the ARC or Aspire Radial Coil heads and includes 2 replacement coil heads. The Revvo Boost Tank has adjustable top airflow, so you won’t be experiencing any leaking! Lastly, this tank comes with a squonk/BF pin and has a wide bore delrin drip tip. All in all, this is an excellent deal for the new Aspire Feedlink Revvo Squonk Kit! If you are looking for a new and unique squonk kit at a great price, then this is a deal definitely worth checking out! Be sure to check this deal out at Breazy for only $27.00!